buy generic viagra online no prescription AmeriCorps NCCC team Green 1 assisted rangers at the Mission Trails Regional Park in San Diego, California from Jan. 11 until Feb. 25.
trusted tablets To assist Mission Trails Regional Park, the 10-member Green 1 team worked on trail restoration projects, removed invasive plants and helped with beautification of park facilities. Additionally, they implemented educational outreach events for the public to attend. cheap generic viagra AmeriCorps NCCC is a full-time, residential, national service program in which 2,800 young adults serve nationwide each year. 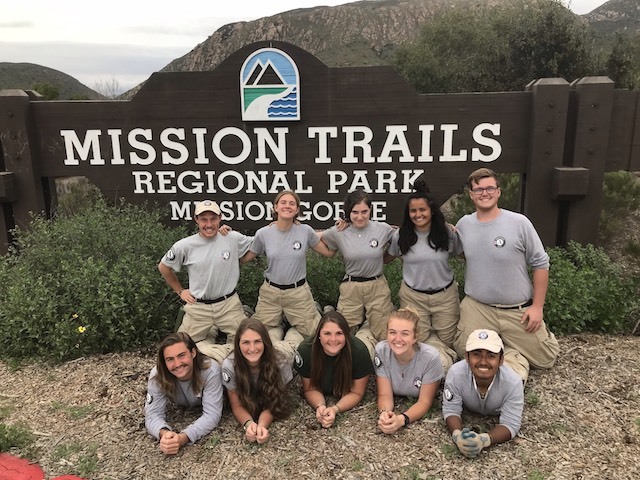 During their 10-month term, Corps Members — all 18 to 24 year olds — work on teams of eight to 12 on projects that address critical needs. Traditional NCCC members work on a variety of different six- to eight-week-long projects related to natural and other disasters, infrastructure improvement, environmental stewardship and conservation, energy conservation, and urban and rural development.